Enterprise Resource Planning! What was that about again? The keyword in the term ERP is ‘planning’. MPSand MRP are the familiar terms that are usually used, but by doing that we’re actually underestimating the problem and the software. These days, it’s hard to find a professional magazine that doesn’t include an article about planning: Integrated Business Planning (IBP), Sales & Operations Planning (S&OP), Omni-Channel Planning (OCP), and so on. The same applies to the economy pages of newspapers as well as websites in the specialist areas of logistics and manufacturing: there’s always at least one article devoted to this subject. Okay, sometimes it’s called something else, but it’s essentially about planning. In my meetings with customers, planning is often a minor subject or is not discussed at all! “We’ve already configured MRP” is the standard answer to the question of how the company is dealing with production planning. Another example is the answer “We work with minimal stock” when I ask about the company’s stock planning across several locations. So it seems planning is often overlooked in the ERP process! Which is strange when you compare it to the attention paid in the media to modern planning techniques such as aforementioned IBP, S&OP and OCP. Why are organizations so reluctant to tackle their planning issues? 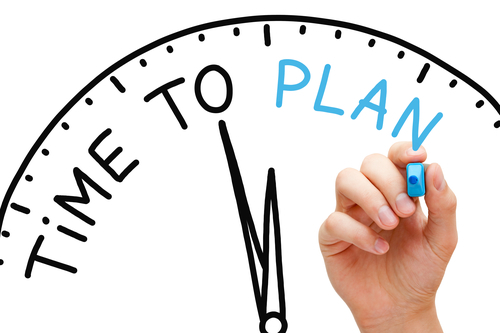 It costs a lot of time and money to change (read: optimize) the planning process. The benefits are not always visible straight away. Yet every company should still review its planning process every year. And because planning is one of the core processes of all producing companies, the impact of a change in demand is enormous. It affects many sub-processes and almost always impacts multiple departments and people. Structural changes in sub-processes, sales or product variants can be a reason for reconfiguring the planning process. Another common reason is that planning is an activity that is partly implemented outside the ERP system. If that’s done in a specific software solution and the results are interfaced with the ERP system, it shouldn’t be a problem. However planning is often carried out in Excel because Excel is so accessible and easy to manipulate. And that’s the biggest pitfall: it has been proven that planning in Excel, for example, is based on the preference and experience of the person/people managing the planning tool. This usually leads to optimal planning for some of the processes but suboptimal planning for the company as a whole. Accurate planning of demand, production, stock and supply is a very complex process! And it’s very difficult to change that process. But this shouldn’t be the reason not to do it! Which is why the planning issue is a subject that you should put on your strategy agenda at least once a year. We have a lot of experience with planning issues of our customers, either discussing about it or configuring optimized planning processes. But that doesn’t mean that we’ve found the Holy Grail. Often, even we face situations in which we and the customer have to think about how the planning issues can be solved best. And sometimes that means we have to use new working methods. But always based on previous experiences! And yes, occasionally a requirement cannot be immediately incorporated into the ERP software, customization is necessary, or we gain new insights that require adjustments to be made. Cadran has developed a digital planboard specifically for JD Edwards EnterpriseOne that combines the planning activities on a single screen and by doing so greatly simplifies the planner’s work. More about this in our next blog. In all cases, we’ll put the planning issues on the your agenda, especially now that trends such as Sales & Operations Planning, Integrated Business Planning, but also digital planboards in the ERP system, are being mentioned more and often during my account meetings. Author: Jan Stalman, Sales Manager Cadran Consultancy b.v.